XuetangX is the world’s first Chinese MOOC platform, authorized to operate edX courses in the Chinese mainland. Founded by Tsinghua University, it also provides a platform for research and application of MOE Research Center for Online Education. XuetangX is operated by Beijing MOOC-CN Information Technology Co.,Ltd. (MOOC-CN Info). Affiliated to MOOC-CN Education, MOOC-CN Info is an important component for the company’s development pattern of the integration of industrial-finance capital. Other sponsors include Banyan Capital, Redpoint Ventures, Inspired Education and Training, Northern Light Venture Capital, Huaxin Ventures, Tak Ying Foundation Limited and Chinese All. XuetangX renewed the contract with edX for a much closer partnership in the future. XuetangX signed a memorandum of understanding (MOU) with Stanford University for further cooperation. XuetangX released application-based knowledge service product, X-Class BU. International Engineering Education Center of UNESCO was founded. XuetangX functioned as its online education platform. Collaboration Agreement signed with Telefónica. Rain Classroom got online. Signed a cooperation memorandum with Udacity. XuetangX signed a cooperation memorandum with ACCA. The Engineering Master degree courses online platfrom was launched. Launched the first blended-learning Minor Program in Finance. XuetangX signed a cooperation memorandum with FUN of France. XuetangX was exclusively authorized by edX for the Chinese mainland. MOE Research Center for Online Education was founded and XuetangX became the official platform for its research and application. Tsinghua University MOOC was launched. 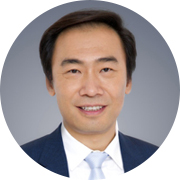 Nie Fenghua, research fellow and doctor of management of Tsinghua University, is the president of Tsinghua Holdings, chairman of MOOC-CN Education, and chairman of XuetangX.com. He also holds posts as deputy director of the Ministry of Education's Research Center for Online Education, secretary-general of the University-Enterprise Cooperation on Education Innovation Research Association under the China Association of Higher Education, deputy director of the editorial board of Modern Educational Technology, a national academic journal. Nie has previously served as the deputy secretary of the Communist Youth League of China Tsinghua University committee, deputy head of the student department of the CPC Tsinghua University committee, director of the Tsinghua University Property Management Center, and secretary of Party committee and vice dean of Tsinghua PBCSF. He was awarded as an excellent cadre of the Communist Youth League of China in Beijing, an excellent Party member in Tsinghua University, and as an advanced worker of the university. At the university, he has also won first and second prizes for educational achievements. Mr. Fan is 57 years old. He obtained his Bachelor's degree in 1983 and his Master's degree in 1988 both from Tsinghua University. In 2002, he was recruited by Tsinghua University as a researcher. After that, he served as General Manager of Tongfang Artificial Environment Co. Ltd., and later he acted as Vice President and the President of Tsinghua Tongfang. At this moment Mr. Fan is the Vice President of Tsinghua Holdings, Vice Chairman of Tsinghua Tongfang and the Director of MOOC-CN Education. As an expert on clean energy planning and a senior expert of heat pump technology, Mr. Fan obtained the Contribution Award of Science and Technology and the Outstanding Entrepreneur of Chinese Mechanical Industry Honor. 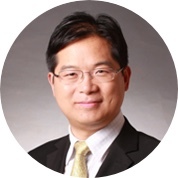 Mr. Zhang is a founding partner of Banyan Capital and he focus on TMT Investment. He has a rich experience and many resources that help him develop startup project. He served as a partner in IDG Capital and as one of the member of his Investment Decision-Making Committee. Mr. Zhang was responsible for more than 20 investment and management projects including DealeXtreme, IOBit, Storm Video Player, , Razer, Archermind , Shenzhou Pay, Linkekong, , etc. In 2011, he was honored by the Zero2IPO Group as one of "Top 10 of Chinese Entrepreneurship Investor". He graduated from Tsinghua University, where he obtained a double Bachelor degree in Engineering and in Jurisprudence plus a Master’s degree in Management. He also studied Management Leadership at Stanford University. 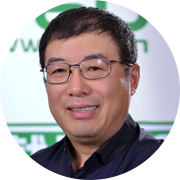 Mr. Yuan has been the Managing Partner of Redpoint Ventures and has made many investments in China, like Cgen Digital Media, Qihoo 360, Miaozhen Systems and Focused Photonics Inc, and also the position of Director of Apus, Renrenche, Domob, Idreamsky Games, Miaopai, Bangcle, etc. As an investor who has placed special emphasis on innovation, operation and company investment for more than 20 years, he was listed as one of “2014 Forbes Global Best Investor”. He served as the Co-Founder and CEO of ITelco, the Co-Founder of the Opentel and Genesol Enterprise. He obtained his Bachelor’s degree in Electrical Engineering from MIT and an MBA from MITs Sloan School of Management. Senior Economist Mr. Zheng was born in 1972. In 1996, he obtained a Bachelor's degree in Engineering from the School of Mechanical Engineering and a Master's degree in Management in Tsinghua University School of Economic and Management. He was one of the members of the Standing Committee of the Tsinghua University Youth Communist League, Director of Organization Department of Tsinghua University, and he served as the Graduate Students Party Secretary of the Tsinghua University School of Economic and Management. 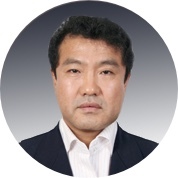 He also acted as the Assistant Director of Tuspark Development Center, Director of the President Office, Assistant to the President, Secretary of the Board, Financial Director, Vice-President, Director of the Center for Education and Training of the TUS Park. At the same time, he held the position of President or General Manager in multiple Tuspark branches such as Huaqing Property Management, Huaqing Yingdi Property Investment, Wenjin Hotel, etc. Now he is the Vice President of Tusholding, Vice Dean of Tus Research Institution, Chairman of the Qidi Education and General Manager of Qidi Hotel. 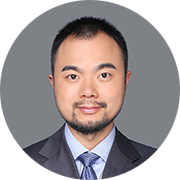 Mr. Li joined the XuetangX team in February 2017. He held executive positions in three public companies: Vice General Manager of the Global Distribution System business of Travelsky (HK:696), VP of Kuxun Travel, a meta-search business of Trip Advisor (NASDAQ:TRIP), and the Vice President of JD group(NASDAQ: JD). After experienced IPO process twice, he founded “Have Fun Technology” (Fangxuele), an innovative internet platform offering after school activities and scenario based e-commerce service for the kids from age 3 to 14 and their parents, which attaches great importance to the education development. 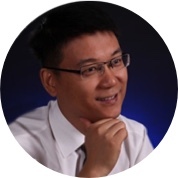 Mr. Li owns a profound understanding and a rich experience in constructing information system, e-commerce operating and building up a strong connection between education practice and research institutes, such as the Beijing Normal University School of Psychology. He emphasized the unity of knowing and doing, and has strong passion in education innovation with global vision. Mr. Li obtained a Bachelor's and a Master's degree from Beihang University. Mr. Zhang joined XuetangX in September 2016 as the Vice President in charge of the Business Collaboration Department. He used to work for GREE in the position of Assistant of the President in charge of the Company Sales. Before this, he was the General Manager of GREEs Beijing Branch where he reinforced the Beijing team, cultivated energetic manager team, and prepared subsequent leaders, establishing a sunny, simple and positive enterprise-culture atmosphere. As a result of his talented works, his team construction and his brand building capabilities, Mr. Zhang improved Beijing GRREs market share. Mr. Zhang obtained a double bachelor's degree in Accounting and Refrigeration from Huazhong University of Science and Technology. He was one of the first EMBA students graduated t from the Tsinghua University PBC School of Finance. 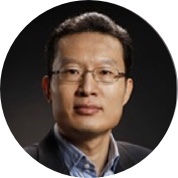 Dr. Guan joined XuetangX in December 2016 as Vice President of Technology. During the time that he held the position of Deputy General Manager in Irtouch which it’s listed on the Shenzhen Stock Exchange, he lead his team in the development of international products and technologies in the field of Human-computer interaction. 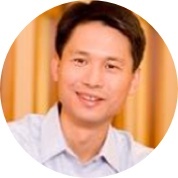 He has rich experience in software development, embedded systems, education informatization, and also worked as teacher for many years focusing on research in the field of machine learning and image processing, Mr. Guan was employed by Microsoft (USA and Europe), Irtouch, and the Guangxi University. As an expert in IEC, Dr. Guan Jian holds a Bachelor's degree in Engineering from Tsinghua University, a Master's of Science, and a PH.D in Computer Science from the University of Nottingham. 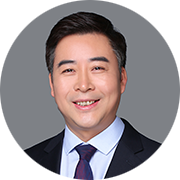 Mr. Sun joined XuetangX in May 2015 as the Vice President who is in charge of the Legal, the Human Resources and the Administration Departments. 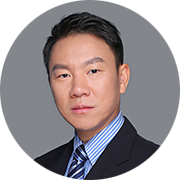 He is a member of The National Council of Lawyers' Committee on high technology and information networks; he served as legal adviser at Lenovo, as a lawyer and partner of Beijing Deheng Law Firm . He worked as Vice President and Board Secretary of the Linktone. He served as a Chief Lawyer and Board Secretary of the 21vianet Group. Having rich working experience in law, he obtained a Bachelor's degree in Economic Law and a Master's Degree in Xi’an Jiaotong University. 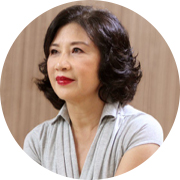 Ms. Yang is the Chairman of the Esquel Group. She is a member of the CPPCC National Committee and the President of the Hong Kong Advisory Committee on Admission of Quality Migrants and Professionals. She is also a member of the Commission on Strategic Development and the Commission on Innovation and Technology She is the Chairman of the Board of Directors of the Hong Kong Polytechnic University, and a member of the Advisory Committee in prestigious Universities such as Harvard University, Harvard Business School, MIT Sloan School of Management, Tsinghua University School of Economics and Management and the MIT Computer Science and Artificial Intelligence Laboratory. She possesses a Bachelor’s Degree in Science and Technology from MIT and a Master Degree in Business Administration from the Harvard Business College. 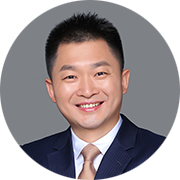 Mr. Deng Feng is one of the founders of the Northern Light Venture Capital; he is the Director of the Tsinghua University Foundation and the Director of the Asia Council of Wharton School of Business. For more than 20 years he has been focusing on venture capital investment, computer, communications, and data networking. He owns a number of US patents related to computer architecture and IC design. Due to his outstanding business achievements, he was honored as "2002 Entrepreneur" and "2003 Innovator" in the USA. He was a graduate of Tsinghua University with a Bachelor and a Master degree in Electronic Engineering, and a Master's degree in Computer Engineering from the University of Southern California and an MBA from the Wharton School. Mr. Qi Xiangdong is the President of the 360 Company and a member of the Executive Committee of the All-China Federation of Industry and Commerce. He also serves as the Vice Chairman of the Beijing Municipal Federation of Industry and Commerce. Mr. Qi is a National Computer Virus Emergency Response Center expert and the Vice-chairman of the Chinese Private Technology Entrepreneur Association He is has been recognized for his rich experience working in large-scale technical team operation and management. He served as Deputy Director of Xinhua News Agency Communication Bureau, Vice president of Yahoo China and General Manager of 3721 company He is also an expert in the network communications technology and in Internet policies. As a result of his outstanding achievements he had won the "2012 China's Internet Annual Economic Person of the Year", "2013 Beijing 100 Science and Technology Leader", "2013 Ministry of Science and Technology Innovative Talents", "2014 National Excellent Technology Builders" and other honorary titles. He graduated from Jilin University (formerly known as Changchun Institute of Posts and Telecommunications). He obtained his MBA at Beijing University of Science and Technology. 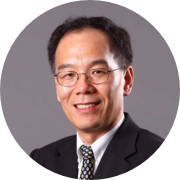 Dr. Zhang has served as the Executive Director and the CEO of Jinshan Group, COO of Microsoft Asia Pacific R & D Group, he also served as the Dean of the Academy of Engineering of Microsoft Asia, besides that he was honored as one of Microsoft's ten "outstanding scientists". As Vice Dean and one of the founding members of the Microsoft Research he made an outstanding contribution and he helped the organization became a world-famous computer science research center. He is famous for his pioneering work in video and image content analysis. He has obtained important awards like “ “2010 IEEE Technology Achievement Award”, “2012 ACM Multimedia Outstanding Technology Achievement Award”, and the “2008 US Outstanding Asian Engineer Award”. He is one of the most influential scientists in the computer field of who has nearly 200 patents given by the US and by other countries. He had published several academic monographs and more than 400 academic papers. Copyright 2013-2019 MOOC-CN Information Technology(Beijing)Co,Ltd. All rights reserved.